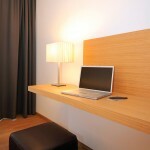 minibar, telephone, satellite TV and Wi-Fi. 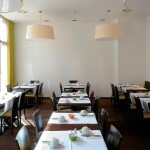 An ideal base for your personal and business trips to Munich and proximity to Grosshadern clinic. 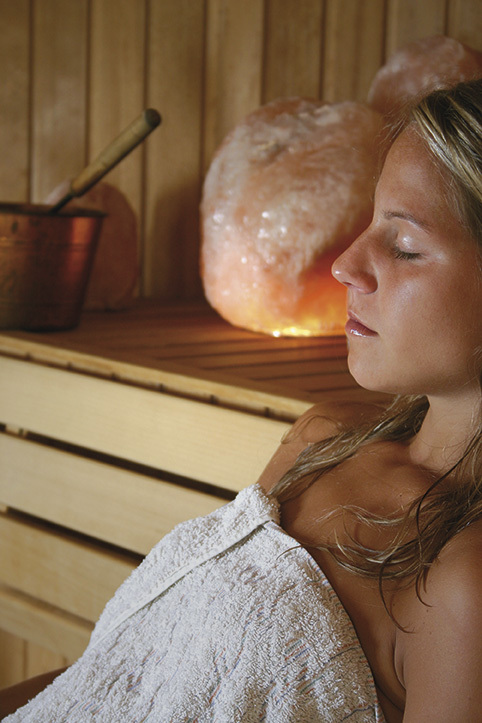 Enjoy after a busy day our relaxation program. 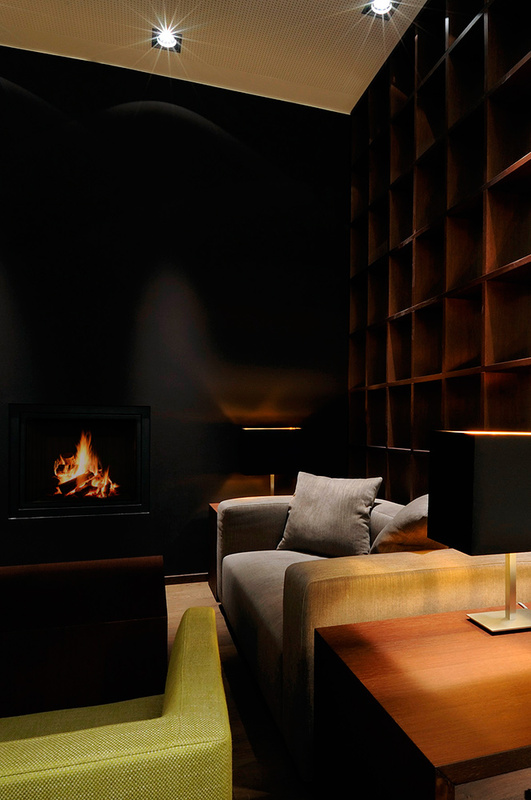 The Hotel Thalmair in Großhadern offers both business customers and private holidaymakers exactly what they want from their stay in Munich. 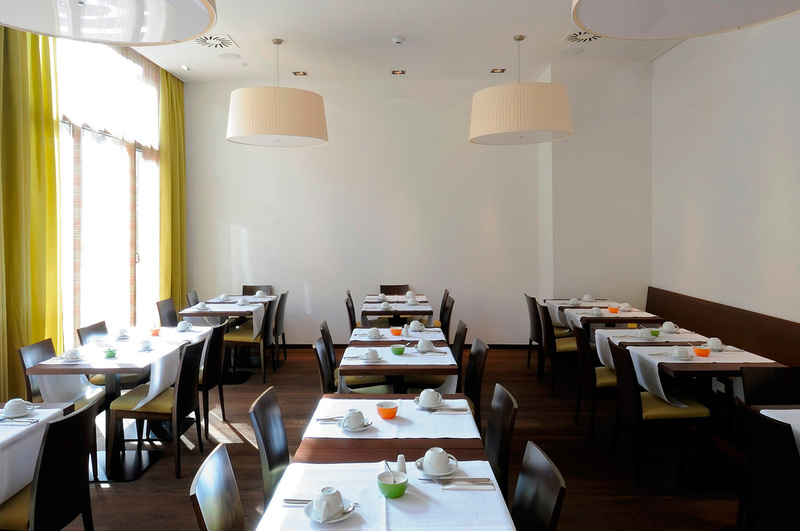 Thanks to the quiet location on the southern edge of the metropolis on the Isar, our family hotel combines urban comfort and a quiet atmosphere. Perfect for business guests who are preparing for an important meeting, or city tourists who want to get a good night’s sleep. The proximity of our hotel to the Großhadern clinic is particularly attractive: It is only 10 minute’s walk from the largest university clinic in Europe (status 2017). Apart from the excellent location, you can expect the highest standard in our rooms, relaxation, a plentiful breakfast (included in the price of the room) and much more. The location of our hotel appeals to the most diverse groups of guests. Business travellers can be on the motorway A96 and the ring road A99 in just a few minutes. City tourists can travel to the city of Munich in just 15 minutes by underground, and in the evening, they can enjoy the quiet of the suburbs. Guests whose relatives are having an operation or treatment in Großhadern, are maximum 10 minutes walk from the hotel to the Großhadern clinic. The same applies to the children’s and gene centre, and the LMU faculties of chemistry and pharmacy. You can get to the Bio Centre in Martinsried in 20 minutes. 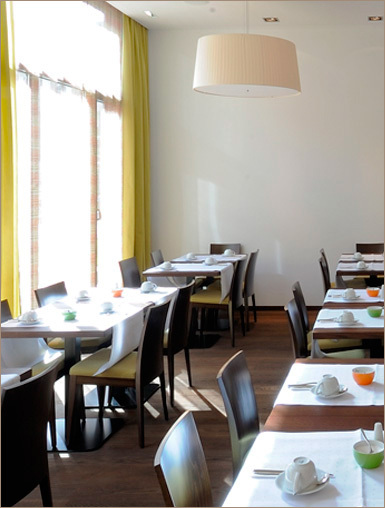 For an exact description of the location of our hotel in Großhadern, and further information, you are welcome to use our hotel brochure. 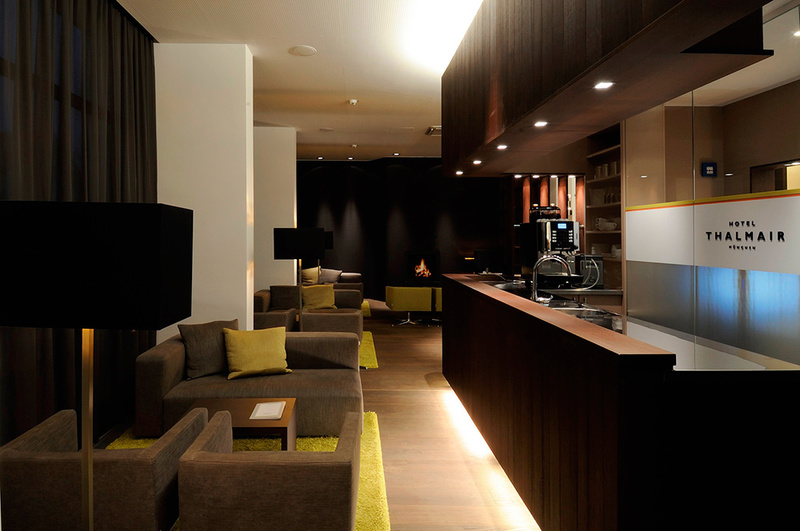 Why is it worth you coming to our hotel in Großhadern? 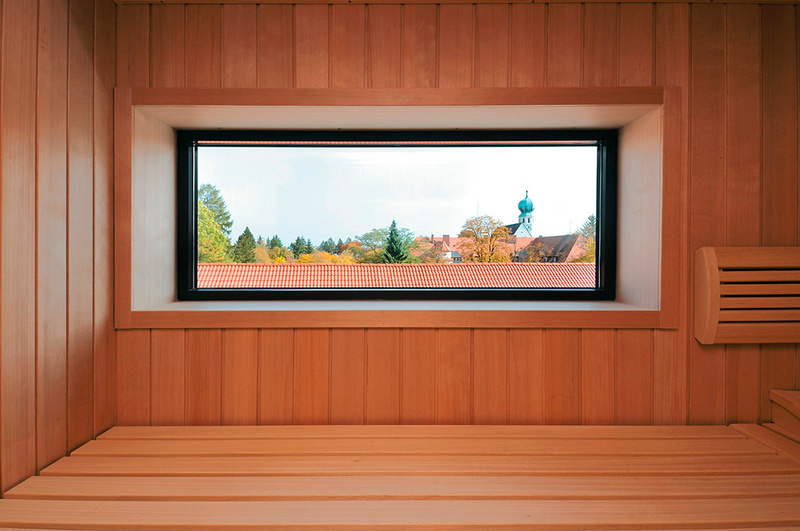 Whether it is the proximity to the Großhadern clinic, or the generous breakfast, the sauna with roof terrace or the culinary offerings – you benefit from many advantages. 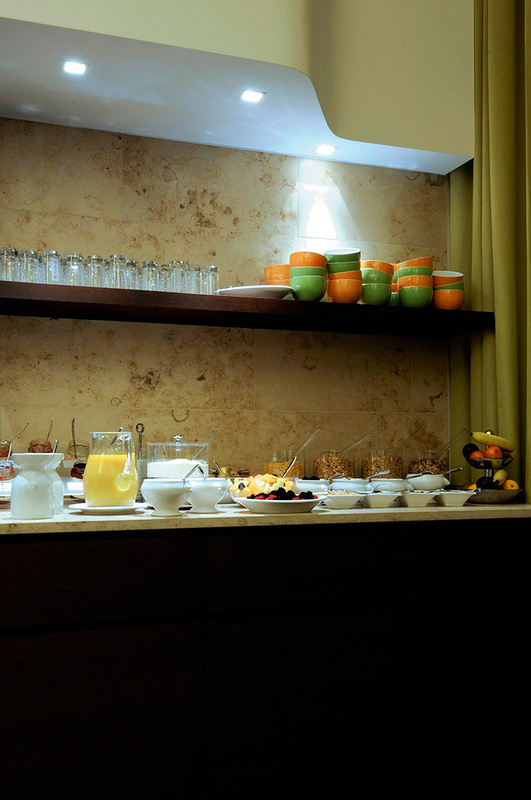 If you book a room with us, you can help yourself to our plentiful breakfast buffet free of charge. Here we offer you dietary products as well as whole foods. 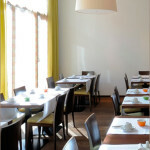 When you get hungry at lunchtime and in the evening, you can find the Italian restaurant Trattoria 4 Mori on the ground floor. 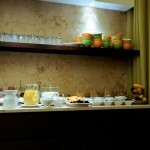 Above all, the fresh fish and seafood specialities enjoy great popularity. 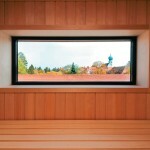 You can also relax at our hotel in Großhadern: On the 3rd floor there is a Finnish sauna with a large relaxation area. 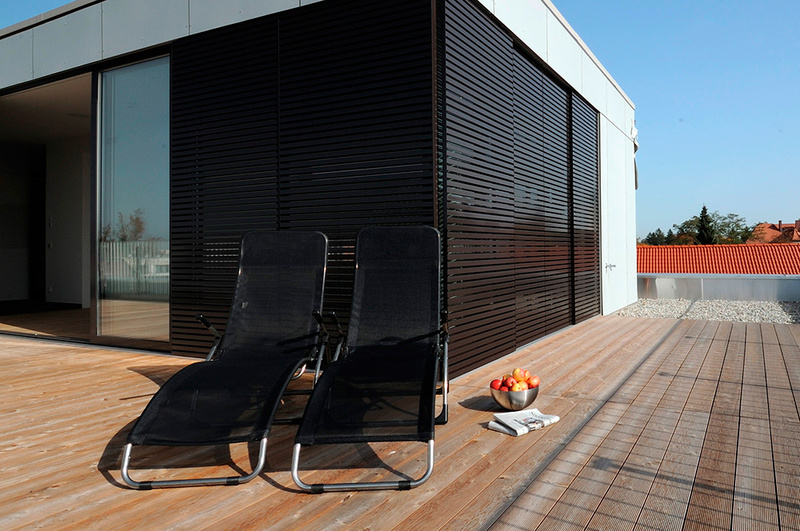 If the weather is nice, you can enjoy a view of the city from the adjacent roof terrace. 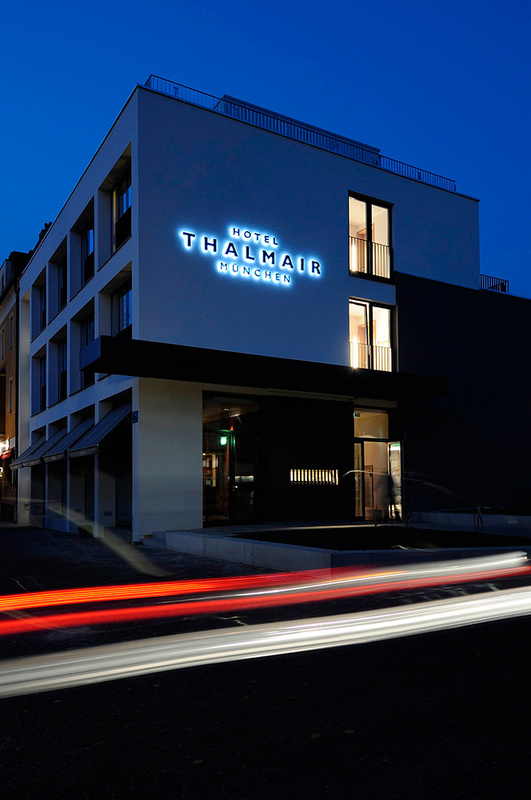 The Hotel Thalmair was expanded in 2008, with a generous new build. 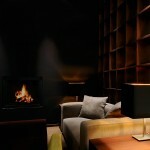 The result is a warm and yet modern feel good ambience both in the rooms and in the public areas. 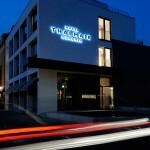 Our hotel is family run, which means that we take care of you and your needs individually, with a personal touch. 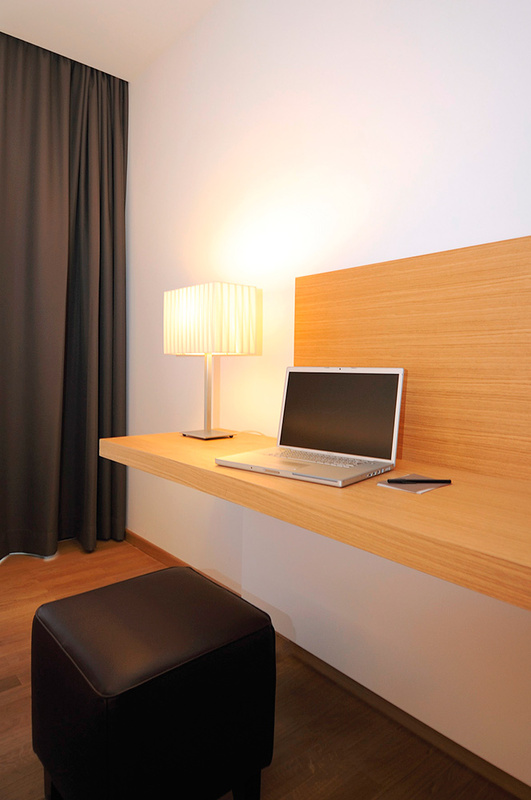 Our high performance WLAN is available to you throughout the hotel, and gives you the option to work from the hotel. 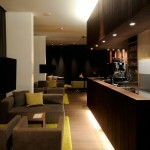 The lobby with bar area invites you to spend some sociable hours when you finish work. A big advantage for all long term guests coming from abroad (and their relatives for example being treated in the Großhadern clinic): With us you can telephone all over the world, cheaper than with your mobile.